Diane Offereins is Executive Vice President, President – Payment Services, and a member of the Discover Financial Services Executive Committee. Ms. Offereins has been with Discover since 1998 as Executive Vice President and held the title of Chief Information Officer prior to overseeing Discover’s payments networks. 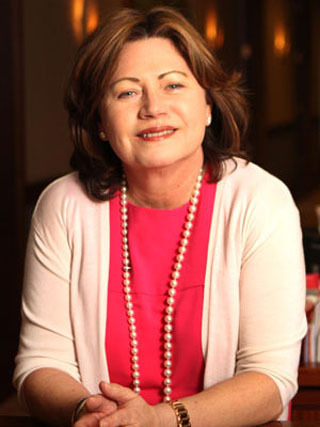 Ms. Offereins has led PULSE, a business unit of Discover, since 2006, and added responsibility for Discover Network and Diners Club International in 2008. Prior to joining Discover, Ms. Offereins served as Senior Executive Vice President for MBNA America with responsibility for managing corporate system development. Prior to that, Ms. Offereins was Vice President of retail delivery systems and wholesale delivery systems for Bank of America in San Francisco for five years, and was with Southeast Bank for nine years, where her last position was Vice President and Director of Application Development. Ms. Offereins received her B.B.A. in accounting from Loyola University in New Orleans, Louisiana. In addition to her responsibilities with Discover, Ms. Offereins is a board member of Children’s Home and Aid and recently became a mentor for children in the program. She also belongs to The Chicago Network, an organization of professional women of achievement in business, the arts, government, the professions and academia. U.S. Banker magazine named Ms. Offereins among the Top 25 Women in Finance in 2008, 2009, 2010, 2011 and 2012, where she is currently ranked #7. © 2015 Global Acquiring Conference. All rights reserved.